The Project was started in 1994 while I was working with patients as a home care nurse. Collaborating with several other nurses, we explored ideas for health care delivery based on a nursing model. Such a model is holistic and ecological, and works with patients and communities to develop more effective systems for health care for everyone. I believe that technology is helpful to us, but we place too much reliance on costly medical interventions at the expense of our well-being. Corporate delivery models and the drive for profit over care have created serious problems. Today, the Nightingale Project is a concept: It encompasses Research, Treatment, and Education, and seeks to blend the best of technological medical care, with the best of holistic nursing care. The Nightingale Project is committed to exploring alternative and complementary therapies, and then finding effective ways to bring that care into the clinic, the hospital, and the home. 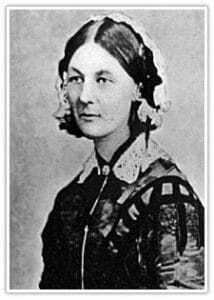 Florence Nightingale brought nursing care into the modern age. My hope is that the Project will bring health care into the next century.